Notes: SIDS is sudden infant death syndrome. For each cause of death, the change in the rate from 2005 to 2014 is statistically significant (p < 0.05), but the change from 2013 to 2014 is not statistically significant. 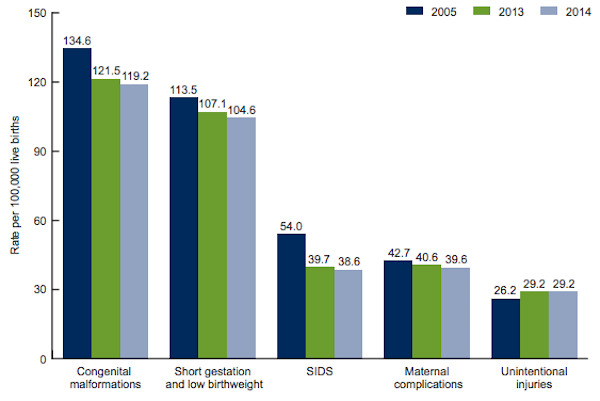 Data Source: NCHS, National Vital Statistics System. This entry was posted in Medicine and Society Data Watch on March 29, 2017 by Genevra Pittman.